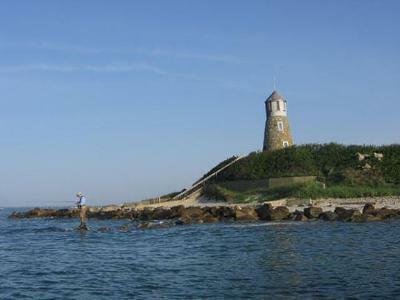 Question: Hello, Are there any lighthouses in Cape Cod and nearby that are on a rocky area/cliff? I'd like to take pics of one on a rocky coast. If so, where's the best location to take pictures? Dee's Reply: Hi Linda - If you're looking for a rocky coastline, I'm afraid you'll have to go a little farther north. 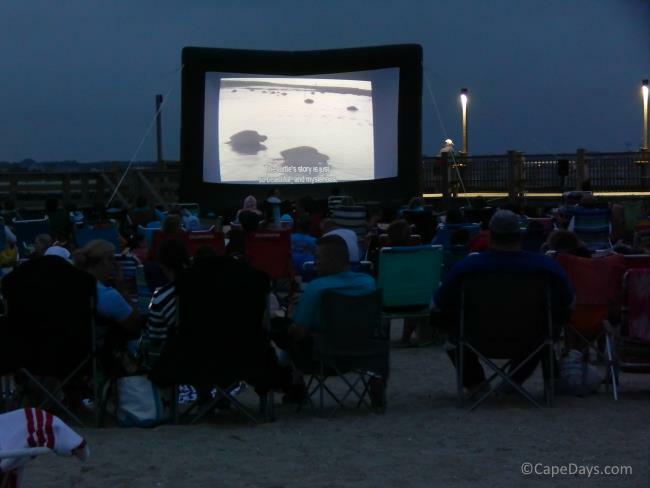 Cape Cod's shoreline isn't rocky in the way you'll find in Maine, for example. 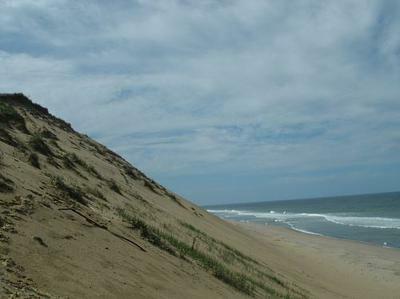 Instead of craggy cliffs, our Atlantic Ocean coast is made up of mile after mile of dynamic, ever-changing sand dunes. In some places, where the winds and storm surges have eroded the face of the dunes, you can see strata of sand and peat deposited by Mother Nature's forces over thousands of years. It's a fascinating "cross section" of Cape Cod's geological history, and a wonderful photo opp in and of itself. The challenge to taking a good "cliff view" lighthouse photo on Cape Cod lighthouses is that most of our lighthouses sit back a bit from the water's edge. In fact, as a result of the erosion our shoreline constantly undergoes, some of our oldest (and most photogenic!) lighthouses have been moved back to keep them from toppling into the sea. So, it's not easy to get a cliff-view photo unless you're on a boat and you shoot from the water in towards shore. The photos I've included at the top of this page show some examples of what I'm talking about. The first photo is one of my on-the-water shots of Point Gammon Light on Nantucket Sound in West Yarmouth. Point Gammon is the only Cape Cod lighthouse I can think of that's on a cliff (albeit, a small cliff) right near the water's edge. 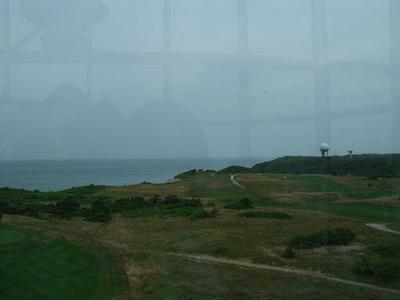 The second photo is the view from atop Highland Light in North Truro. As you can see, there's a lotta land between the lighthouse and the water's edge. 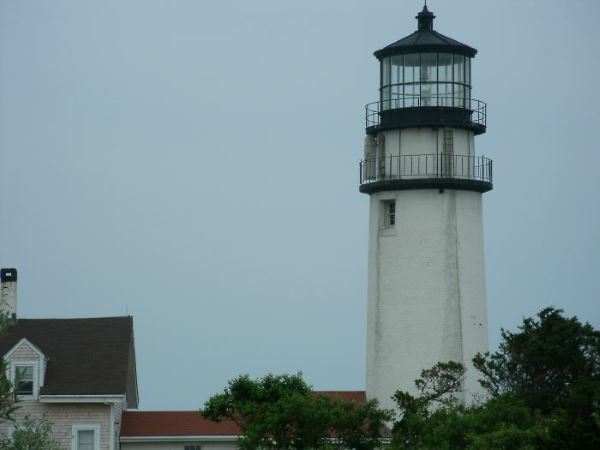 In 1996, Highland Light was physically uprooted, placed on skids, and moved back to a stable, safe location overlooking the ocean. 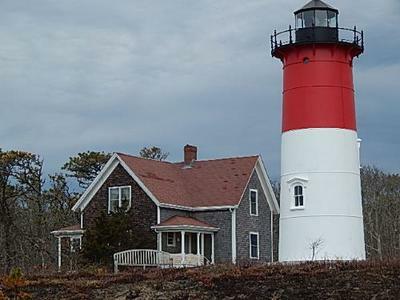 Nauset Light in Eastham (photo #3) was moved the same year. It now sits on a bluff across the street from Nauset Light Beach. The last photo shows our Atlantic Ocean coastline a few miles down the road from Highland Light. See? We do have steep cliffs on our shoreline. Just not the kind Maine has ... and I'm afraid, not the kind you're thinking of for your lighthouse photography. While you're here, I do urge you to visit some of our beautiful, historic towers. Although your photos might not be "cliff shots", they'll be spectacular in their own right, I'm sure! P.S. 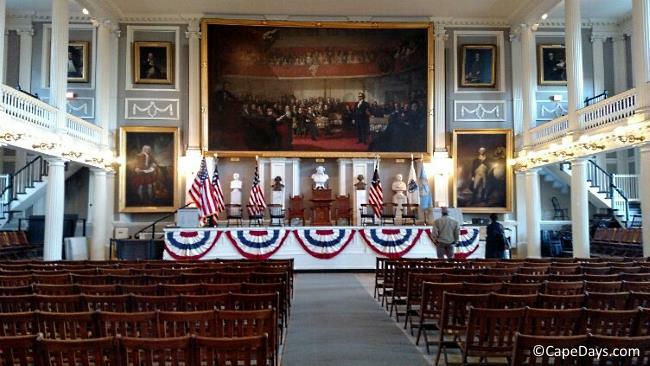 If you're planning to tour the northeast, check out this site about New England Lighthouses. I think you'll find it helpful in your quest for places to take rocky-cliff lighthouse photos!